Are you ready to surprise a boy or girl in need with what comes out of your shoebox? 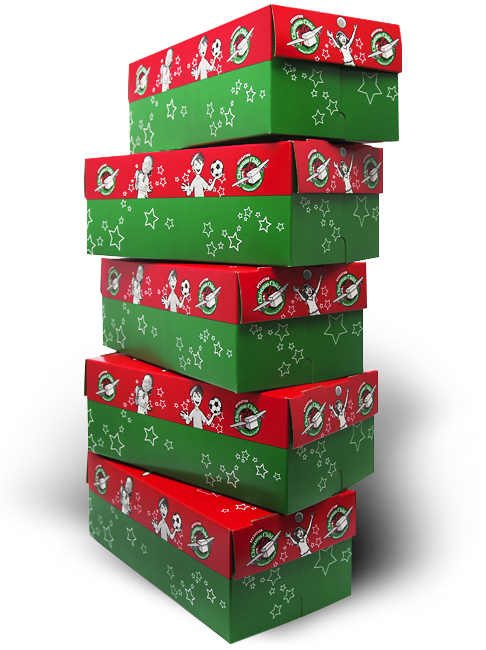 Order your 100 FREE pre-printed shoeboxes by entering your promo code below. Interested in more than that? Additional sets of 100 boxes can be ordered for a suggested donation here. Find other materials and ideas here.